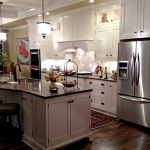 MKS Designer Tracey Shults shares with us a beautiful kitchen that was recently completed with local builder Zellar Homes. 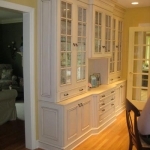 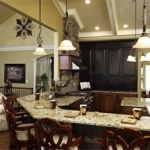 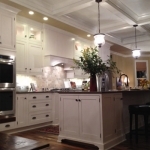 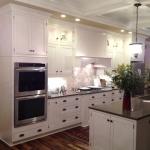 Cabinetry is Brookhaven II, Maple, with a painted finish. 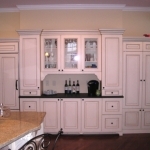 This kitchen, featured in a beautiful JMG Custom Home’s patio home, is displaying the beauty of Merillat Masterpiece cabinetry. 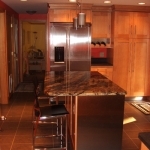 This kitchen highlights a full overlay solid maple door with lighter toffee finish as well as a dark Birch Kaffe finished island. 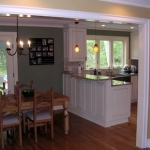 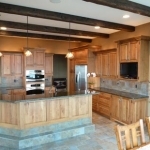 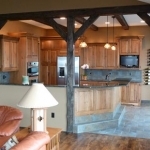 A focal point of the kitchen is the custom designed hood that is centered between the kitchen and the open family room. 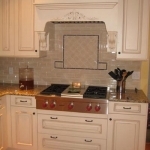 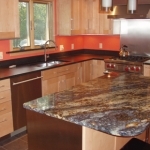 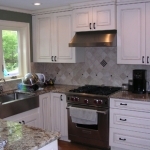 The kitchen and hood were designed by Tracey Shults of Modern Kitchens of Syracuse!